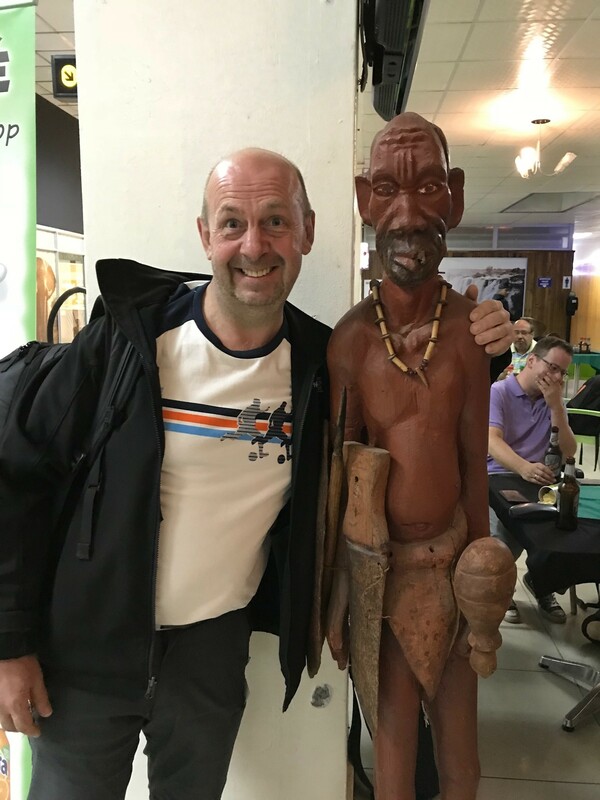 On Friday 8th June our field trip to Zambia finally started, 18 months after first being told how amazing it would be and that I would probably need to reduce my accommodation expectations and be happy if I have running water. Initially I wanted to make the study trip to Japan or China due to these reasons, but over time I became more confident, extended my comfort zone and opted for Zambia. 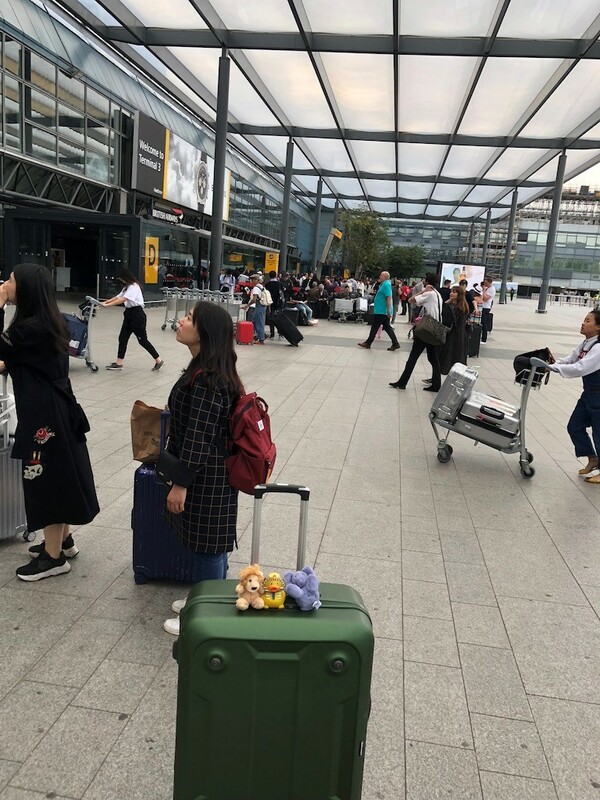 We arrived at Heathrow Airport to start our journey, and it was a mixture of excitement, anxiety and just strange feelings. 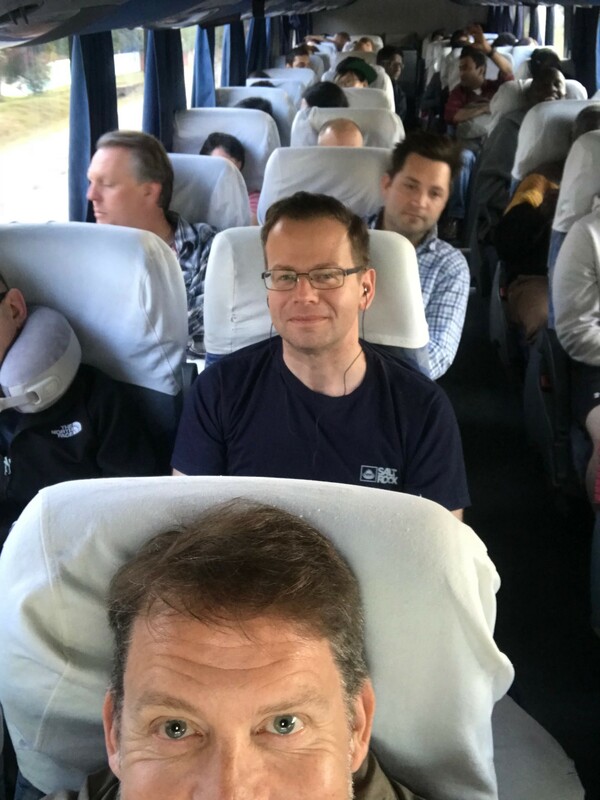 Seeing about 20 of our Executive MBA group at Heathrow, as the Sri Lanka and Zambia trip were starting with similar flight times, just felt odd. While it was nice seeing each other after a few weeks away from campus, it was unusual to see familiar faces in a place like an airport. That very rarely happens to me. While the distance of the map between London and Dubai is longer than between Dubai and Lusaka, the flight time and actual distances are actually slightly longer on the second leg. What the trip from the airport had already indicated though was our surprise about Lusaka itself. It did not look as I had expected an African city to look. So while we walked to the nearest shopping mall, 1.2km away from the hotel, alongside the road without any light in the evenings, the shops and restaurants, as well as half of the prices, were very Western. Sunday was the day to explore the city, and we had a trip to the Lylani Elephant Orphanage. 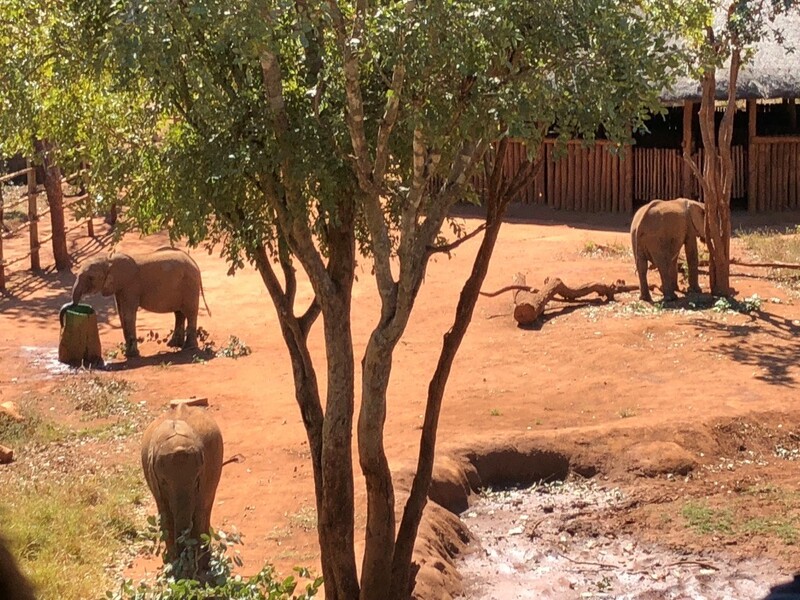 This is a project to bring up orphaned baby elephants, protected from most human contact to ensure they can go back into the wilderness without the risk of being too attached to humans. 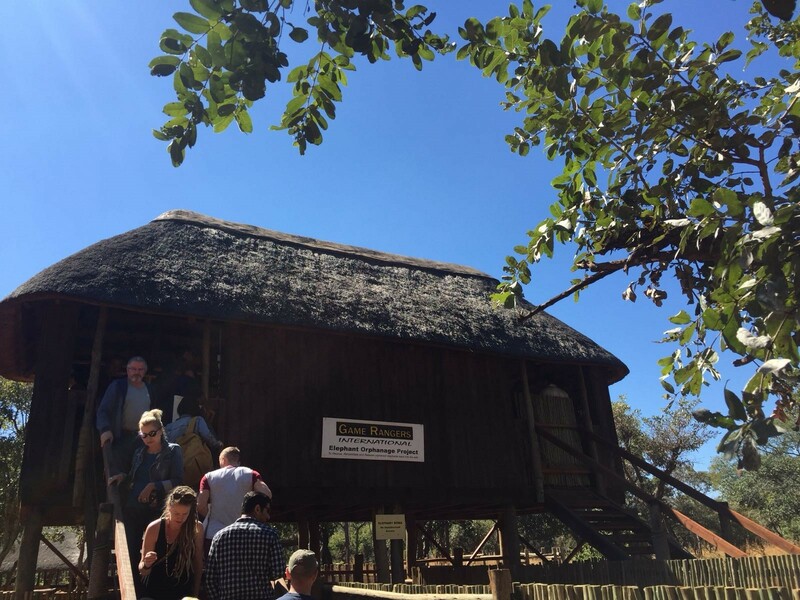 The funny moment on this trip was, while we were queuing to get on the little viewing platform, our group enjoyed the 25 degrees and sunshine in shorts and t-shirts while some locals in the line wore thick winter jackets and hats, as we this was coldest week in Zambia in their current winter period. 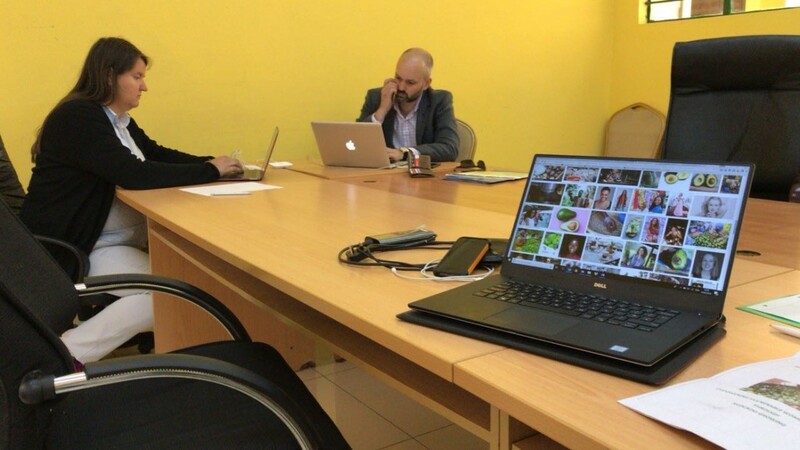 On Monday 11th June our five-day consultancy project was starting. There were 30 people on our trip, with one half being Exec MBA students in our second year and the other half being full-time MBA students coming to the end of their one year course. 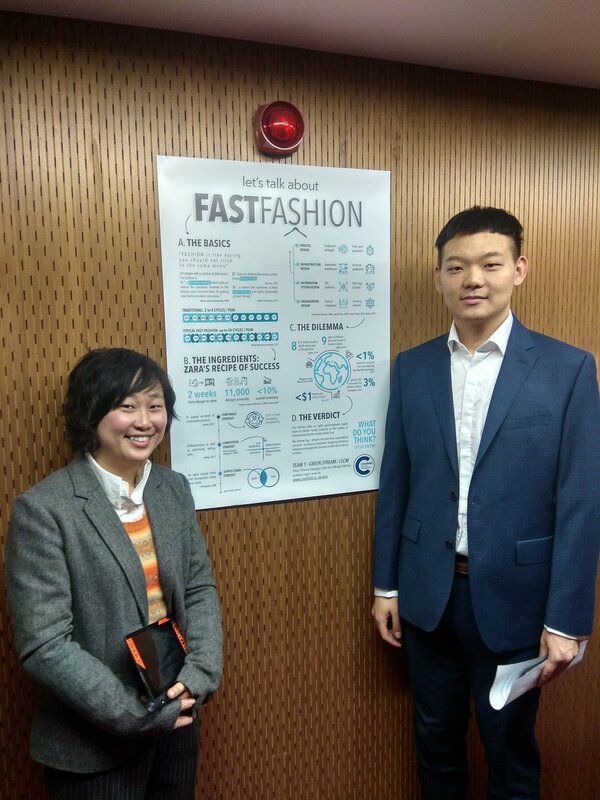 We were split into 10 teams with different mixes between Exec and FT MBAs. The group I was lucky enough to be working with were two other Exec MBAs fro of my course, Jason and Mike. They are both from the Ministry of Defence, which made it extra safe for me, as I knew if something would happen, I could trust their judgement and direction. We were working with the Avocado Grower Association Zambia (AGAZ) who were coordinating the activities of 120 farmers growing the Hass avocado. Their secretary, Mr Special Lungu, was so keen to welcome us to Zambia that he even visited our team on Sunday evening in the hotel to say hello and welcome to his country. 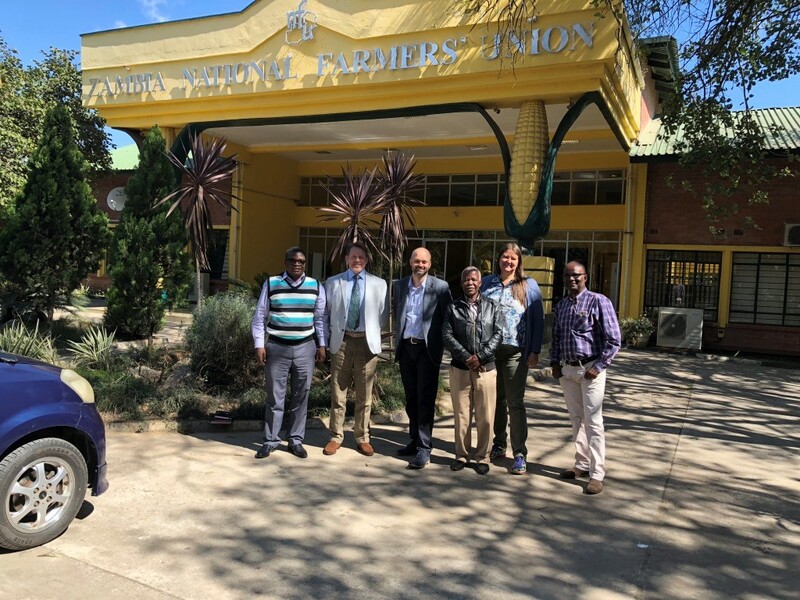 On arriving at the ZNFU, the Zambian National Farmers Union, where the AGAZ has their offices, we were welcomed by the board of the AGAZ and some representatives of the ZNFU. Because we had not been able to make prior contact from the UK, as the AGAZ was busy due to a fair, we got an extensive brief of the history of the AGAZ and questions they wanted us to look at. For all three of us, it was very touching how grateful the AGAZ were to be hosting us for this International Business Assignment and how excited they were about working with us. 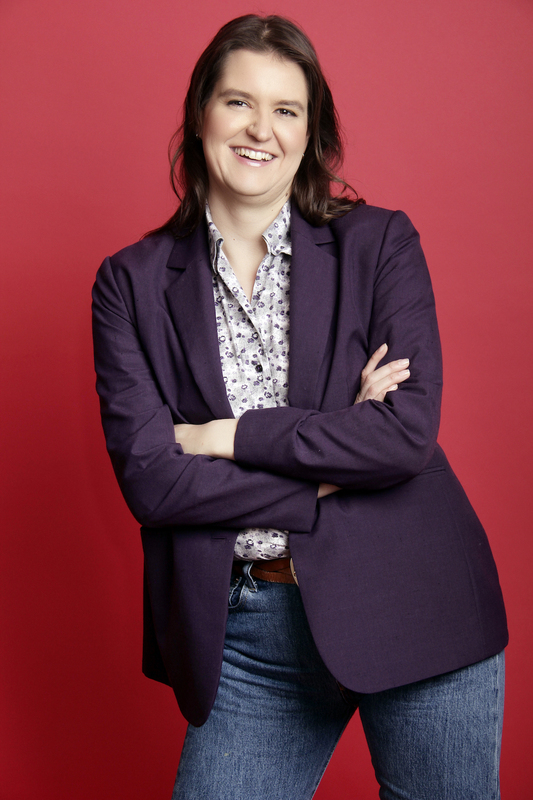 For me as a management consultant, usually coming to the first client visit to find a much less prepared and open environment, it was a very unusual but enjoyable experience. To work on the feasibility study, we had to do a lot of research as all our avocado knowledge before this trip was how the avocado tastes. 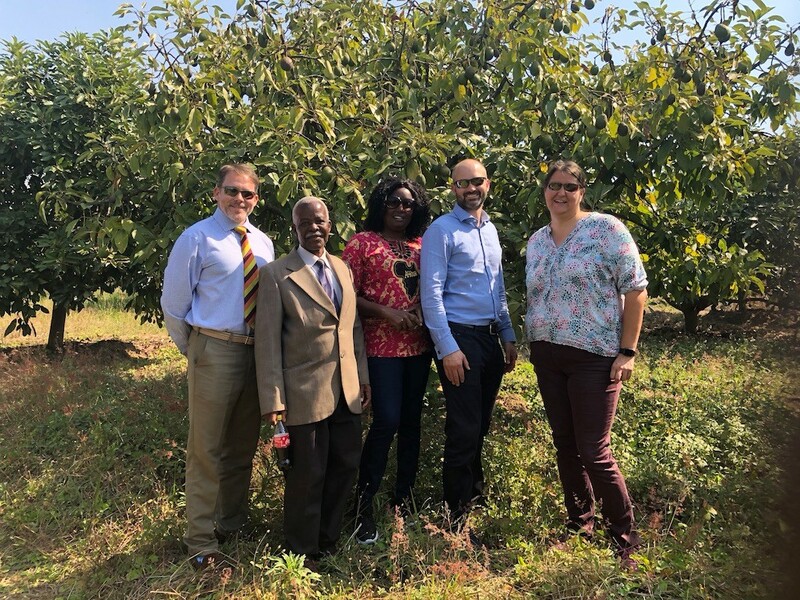 With the help of our Cranfield MIRC team and by extensive use of Google we were trying to gather information about the global avocado market and especially the conditions in Zambia. Can you remember the last time Google did not have the answer for one of your queries? While you find out that more fake flamingos in the world exist than real flamingos, we were not able to find out how many avocados will be produced or consumed in Zambia. We, therefore, had to make assumptions and estimations for our feasibility study as the recording of the data was not available. So we found out that, each year, the AGAZ was selling 20 tonnes of Hass avocados with a minimum weight of 258g to its buyer Freshmark, while roughly another 20 tonnes of Hass avocado would not meet the minimum weight to sell to Freshmark. To put this in context, the world production of avocados was 5.6 million metric tonnes in 2016, with Mexico producing 1.9million metric tonnes. 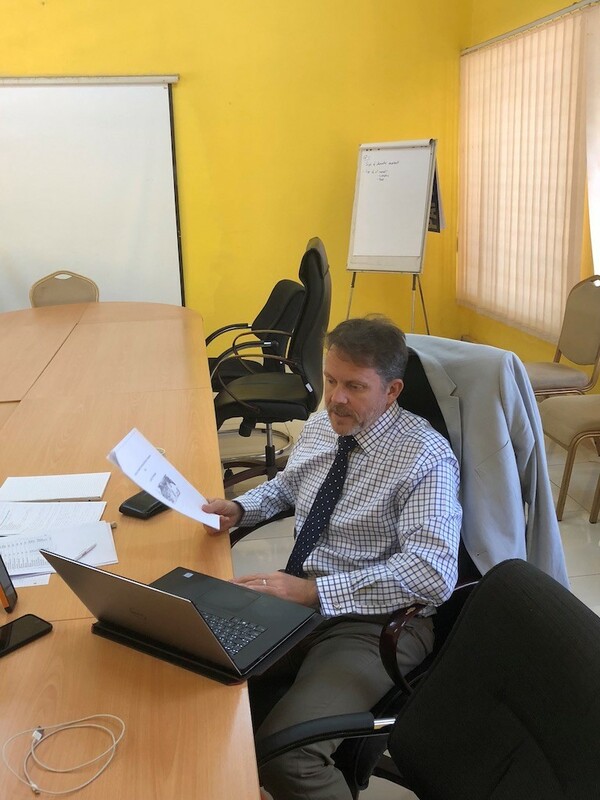 Once we had this information combined with the knowledge that you need a minimum of 20 tonnes of avocado per day for an avocado oil plant, unfortunately, our feasibility study took a big hit. And while we came up with a more manual solution via a small oil press, the labour cost would be too high for such a small scale approach, and we wouldn’t be able to make the project profitable. 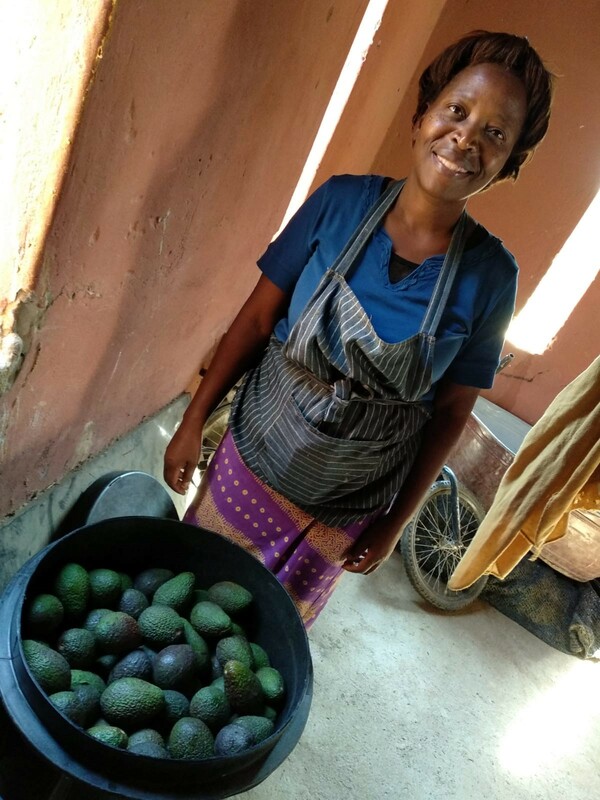 The “empowerment through avocado growing” project is an initiative to reduce unemployment and poverty among women and the youth of the population in rural areas. By selecting three communities across the country, the AGAZ would support and mentor the individuals to empower them to have a self-sustaining means of providing a long-term income. For this project, we were able to use the network of our whole Zambia IBA group and connect the AGAZ with the team of the Programme Against Malnutrition (PAM), that another of our teams was working with. The PAM had gained extensive knowledge over the last few decades about how to get funding for community projects, and our colleagues were suggesting we explore consultancy as another review stream. On Friday, after presenting our findings and also explaining how we conducted our research over the week to enable the AGAZ to use some of the techniques for future projects, we were visiting the Avocado farm of Deborah, one of the members of the AGAZ board. The official work finished with a get together of all 10 companies and students on Friday evening, where we could connect our companies and shortly explain the great work all the teams were able to accomplish in this short period of time. An appropriate celebration to the impact our teams had within just five days with our companies. On Saturday morning at 5:30am, the informal part of our stay began with a nine hour bus journey down to Livingstone. 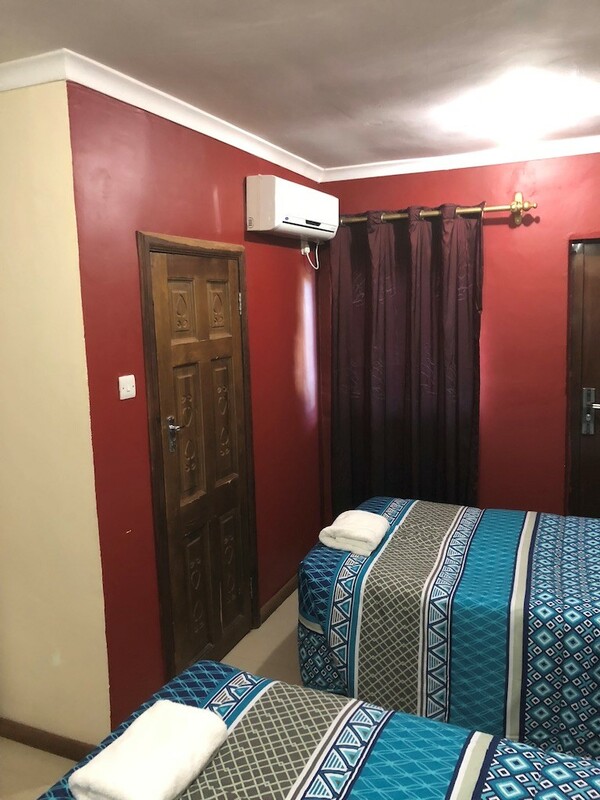 We took the chance to visit the beautiful AVANI Hotel in the National Park direct next to the Victoria Falls, one of the seven modern world wonders. Thankfully Jason was very keen to make this trip a once in a lifetime moment, so he organised a really nice package of hotel and activities where we could join in his plans. 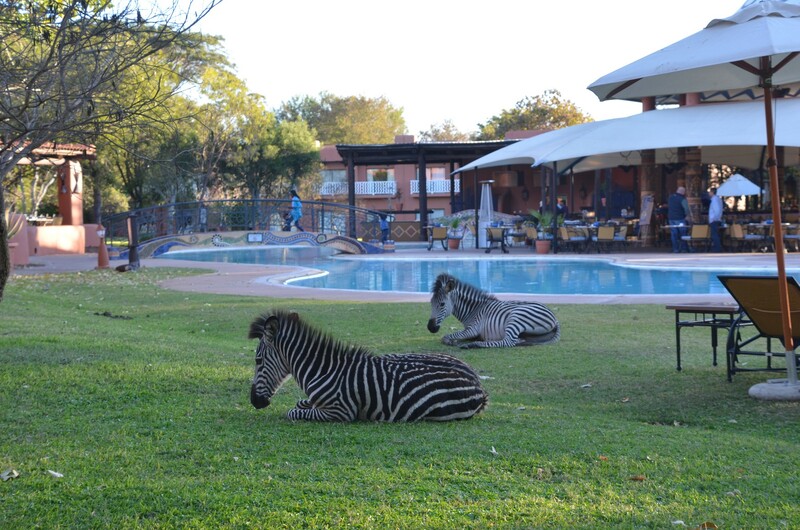 When we came back to the hotel one member of our group thought he had seen a zebra on the hotel grounds and we laughed at him, thinking he was ready for a drink…but only until we left our hotel room the next day to be greeted by a group of zebras in front of us! 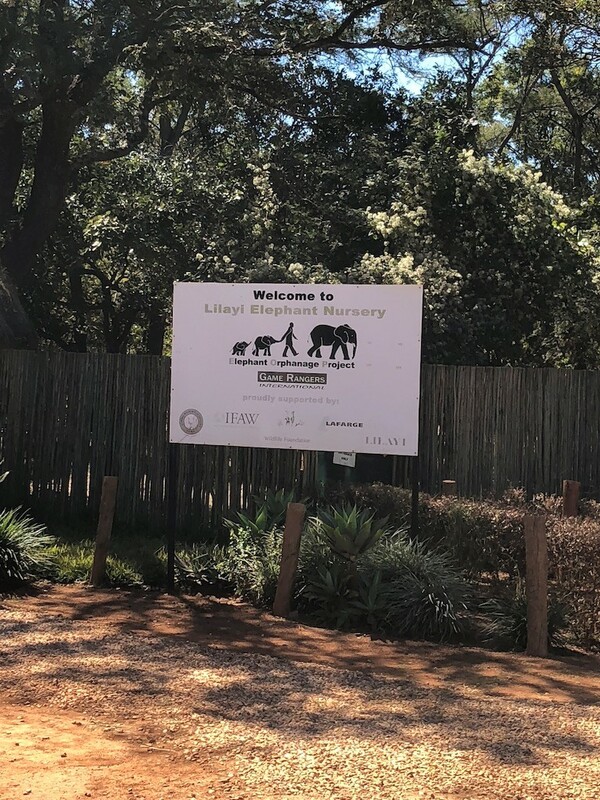 For some of us, Sunday morning started with a game drive safari so we could see the wildlife in one of the national parks on a four-hour tour. It was a fantastic experience to see these wild animals so close to you. 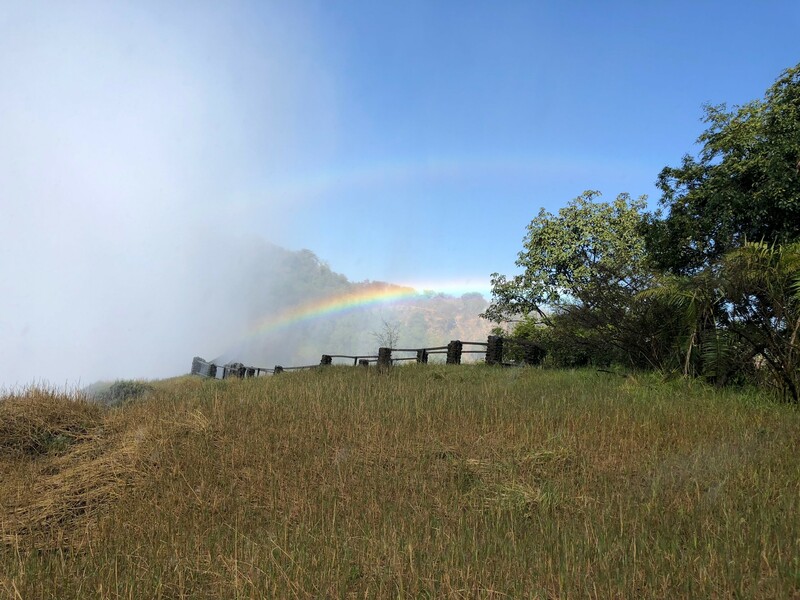 Then, after some first views in the distance, I started to my first of three trips to the Victoria Falls itself, where I witnessed the enormous power of water flowing down the edge, with up to one billion litres per minute during the rainy season in October/November. 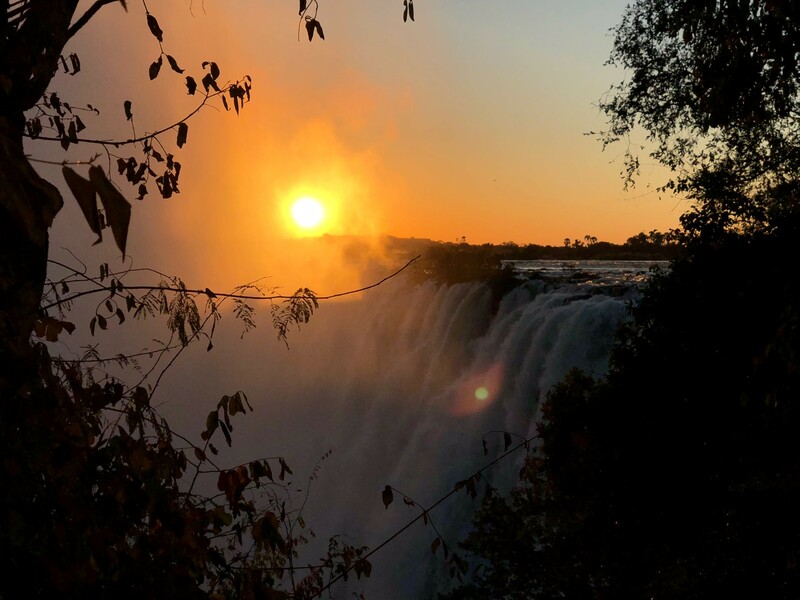 It is a breath-taking moment when you imagine how much water the Zambesi must hold for this natural phenomenon. During the afternoon I could see the rainbows near the bridge; in the evening I could witness another amazing sunset, this time over the falls and on the next morning a soft sunrise before 7am. On Monday at 8am our journey home started, after we got collected by the bus at the hotel. The 10h tour back to Lusaka airport was the start of a 33-hour trip home to central London. All in all, it was undoubtedly one of the best, most exciting and memorable parts of my MBA journey and I am glad I could help to make a little difference. I’m looking forward to seeing what the next steps of the AGAZ will be. 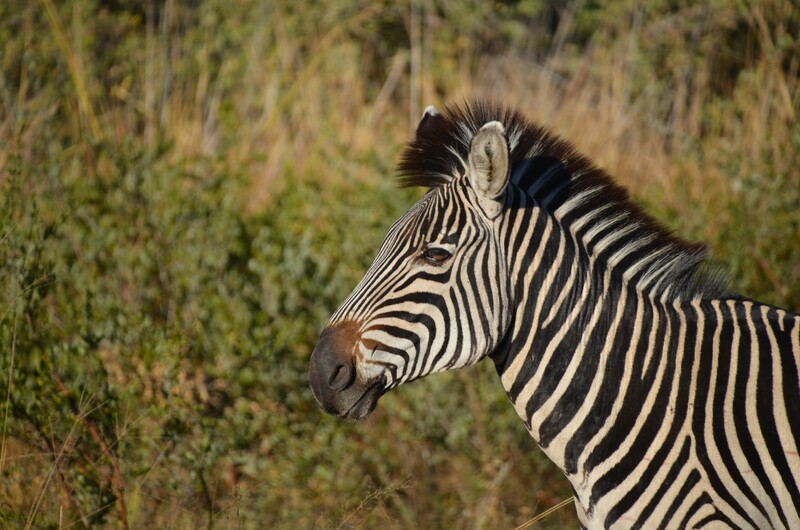 I am sure this was not my last visit to Africa and it is just the beginning of the exploration of a different world. A fantastic experience and summarised very well, thank you Sabrina.